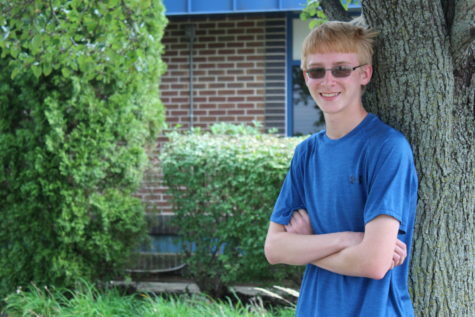 While it may be freshman Derek Katzer’s first year at the of LHS, this isn’t his first experience with “new worlds.” Katzer has a passion for reading and writing that stems from his desire to travel to new worlds via the words on pages of his books. He enjoys the way that a writer can play with a readers emotions and transport them to somewhere else, which led to his decision to join newspaper and help improve his writing abilities. The class also gives him the opportunity to have a class with his friends, who he cares about deeply. Katzer has a big heart full of love and gratitude to those closest with him. Love and gratitude may occupy Katzer’s heart, but his mind is filled with a desire to learn and experience new things. Since he felt he wasn’t challenged enough in middle school, Katzer decided to take some advanced and honors classes as a freshman, such as Advanced Algebra II and Honors American History. Katzer also chose to enroll in Chinese I, which caters to his fascination with Asian languages. Katzer is eager to learn, eager to love and eager to live. He is ready to make an impact, one word at a time. “Knowing that something I have done has made a positive impact on somebody’s life makes me happy,” Katzer said.